This has been filed as a bug since at least 2003, and the current bug thread, started in 2008, can be found here. It has something to do with a dependency on the Windows Symbol font, but I don't know why it hasn't yet been fixed. Right-click on OpenOffice.org.app and choose "Show Package Contents". In the new window that comes up, navigate to Contents/basis-link/share/fonts/truetype/ and copy symbol.ttf into this folder. You should now see bullets correctly. You are brilliant. Thank you; this has been one of the more frustrating problems with word processing I have ever had. This is a great fix for a small but frustrating problem. Thanks! I followed your advice to the letter, and still have the same old issue. Can you shed some light on why that is? To be honest, there are several reasons why it might not work. The most likely one is that updated versions of OO have affected the fix (tho' the bug report itself is still open). The other possibility is that the font didn't properly copy to the correct folder. Yes, it doesn't work for me either. Still seeing the very strange logos. I've posted a question on the forum, too, about this, wondering if there's any way to fix this through a search & replace. I've tried that, but, no luck yet. Hey, wait. It did work now. 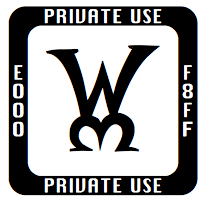 Instead of using your symbol font from above, though, I got the symbol.ttf file from my virtual Windows 7 PC. Well, I take that back. This morning I opened up my .odt file and the strange characters were still there in place of bullets. I thought I had it covered, but, I guess not. Rats, I was hoping that was successful and I would have posted an update. Beyond that, all I can suggest is posting a comment to the bug report asking them to fix it. Best of luck!